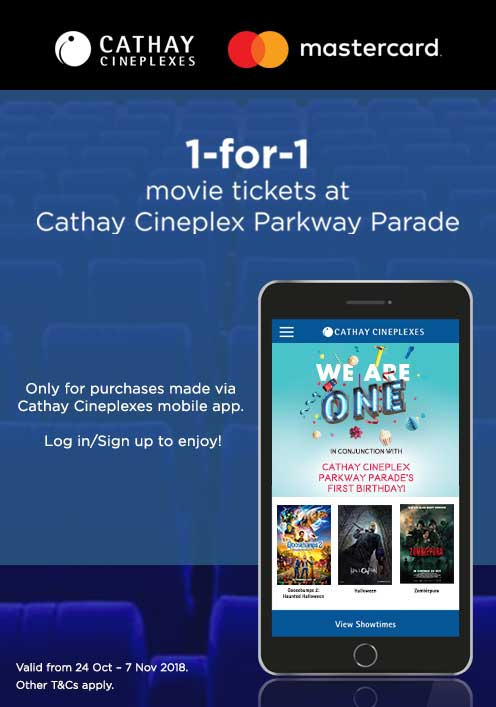 Home > movie-theater > Cathay Cineplexes: Enjoy 1-for-1 Movie Tickets at Cathay Cineplex Parkway Parade! 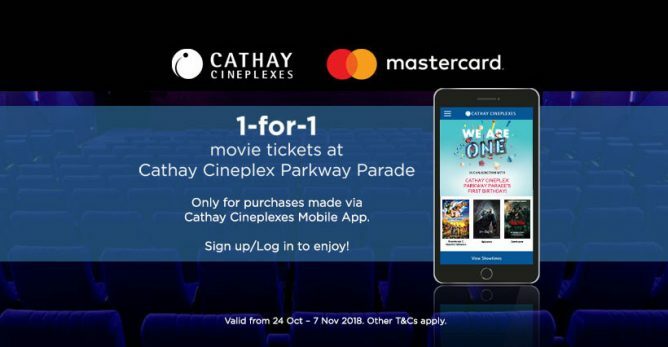 Promotion: Enjoy 1-for-1 Movie Tickets at Cathay Cineplex Parkway Parade! Promotion is valid from 24 October to 7 November 2018. Promotion is only valid for Cathay Cineplex Parkway Parade. Promotion is only valid with Mastercard's Masterpass. To collect your movie tickets before your movie, please proceed to the Box Office or kiosk at Cathay Cineplex Parkway Parade. Previous: [Neiman Marcus] $50 off $200 – don’t miss it!